Signed right side of neck and on stamp inside: A. Rodin. Foundry mark back of neck to left: Alexis RUDIER / Fondeur. PARIS. In 1863 Rodin could not yet afford to hire professional models and was drawn to Bibi, a neighborhood handyman who reminded him of ancient Greek statuary and the face of the Italian Renaissance artist Michelangelo (1475–1564). 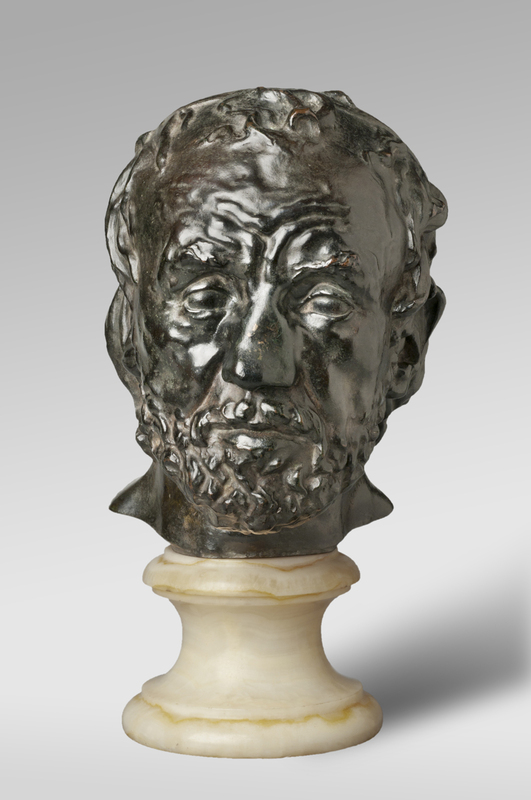 Rodin later explained that this fragmentary portrait resulted from his inability to heat his studio during the unusually cold winter of 1864; the plaster model froze and the back of the head fell off, leaving only a mask. Although the work was rejected by the Paris Salon of 1865, the idea of a "partial figure" would play a significant role in Rodin's oeuvre. 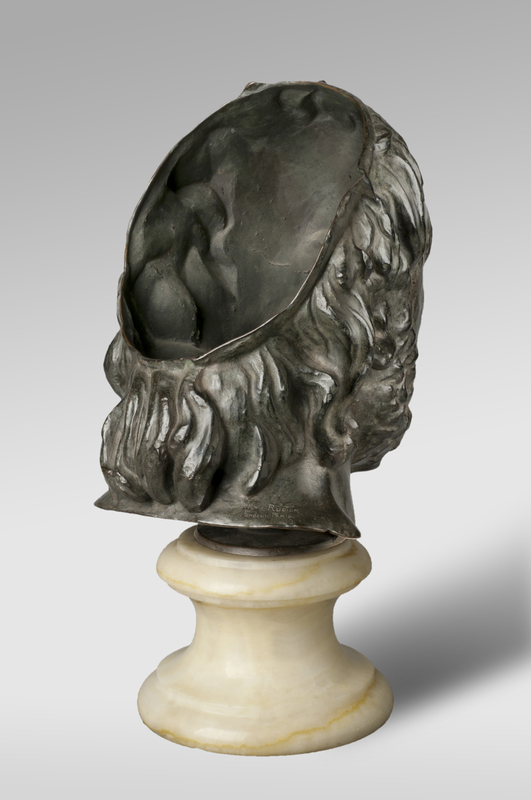 The artist altered the bust by completing the back of the head and removing the extreme pathos from the expression and had it carved in marble for the Salon of 1875. 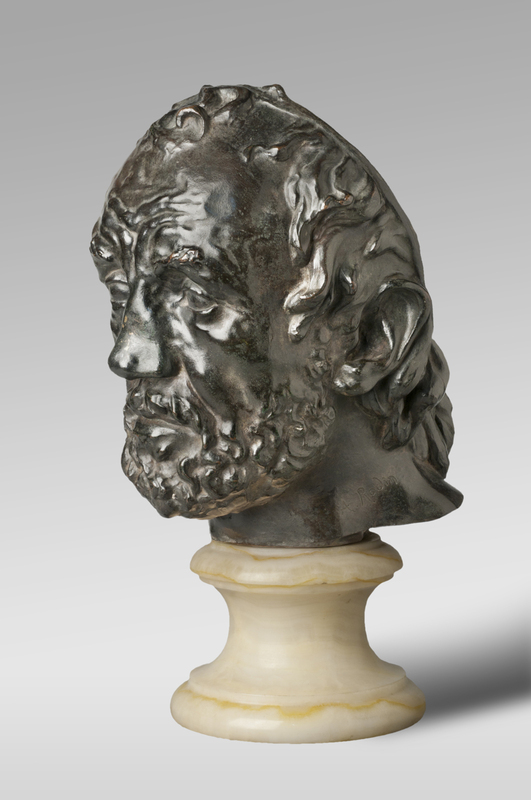 The revised version was the first sculpture by Rodin accepted at the Salon. When Rodin began work on The Gates of Hell in 1880 he included a head with a broken nose, which he placed on the tympanum above The Thinker. It has been suggested that this portrait, along with the faces bordering the tympanum of The Gates, is meant to represent the mass of anonymous sinners encountered in the lowest level of hell in Dante's Inferno.